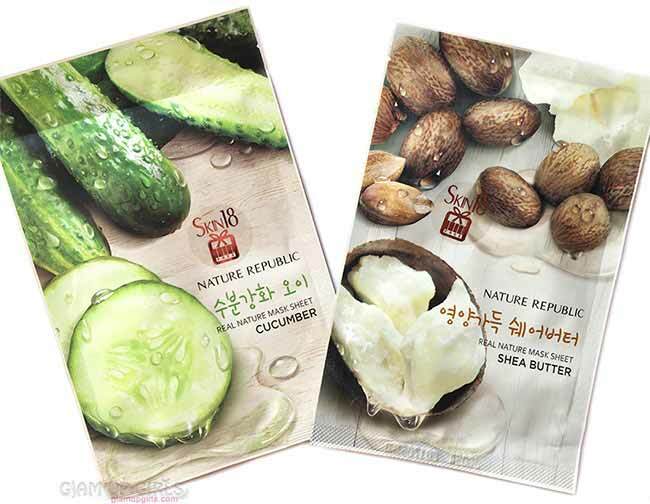 Nature Republic is one more famous Korean brand for beauty products and today i am going to share two of their sheet masks which i got from Skin18. The sheet masks are ultimate savior for dull and dehydrated skin and having dry skin i love to use them once in a while even in summers. 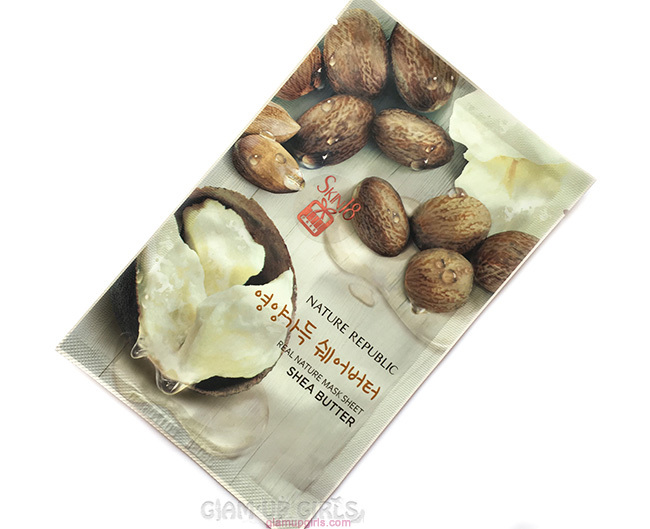 I have reviewed many Korean sheet masks over the time from Skin18 which is a heaven for these masks and offer best prices. This mask promises to moisturize and make soft skin. This mask promises to nourishes the skin with a luminous glow. The packaging of these masks is really cute with the ingredients design on grey matte foil paper. These masks are for extra hydration and will probably be more suitable to dry skin but normal and combination may also try if they feel their skin dull and dehydrated. However oily skin will not like them especially in this hot summer as even after removing these masks, they leave good amount of moisture on skin which lasts very long and you do not have to apply any other moisturizer for whole day. For the same reason i loved them for my dry skin. The shea butter mask is most moisturizing and when you tear the mask out, it is dripped with milky essence with the most amazing smell. The smell lingers for some time after application. This mask no doubt leaves the skin nourished and glowing with. 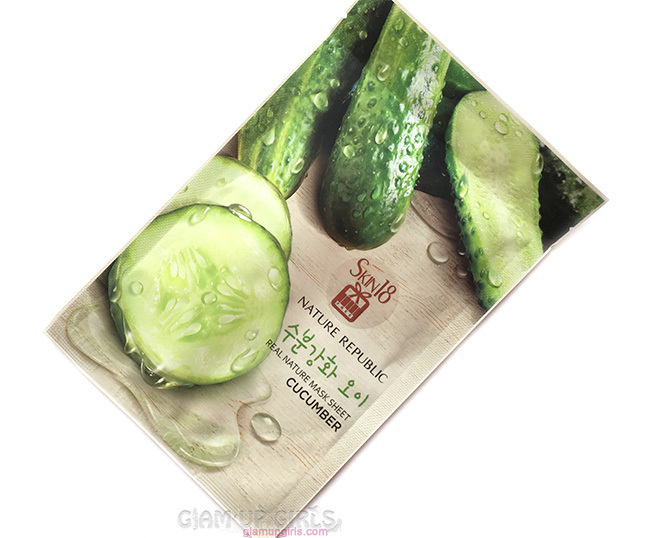 The cucumber mask is bit less heavy then shea butter but is very good as well. It can be used by other skins easily. It leaves the skin super soft and hydrated. Both masks smell really good and the cotton materiel of sheet fit to the skin perfectly without sliding so you can move around while applying it. After removing them for refrigerator, to cool them, i keep them on face for 20 minutes. These mask doesn't completely dry but your will feel them bit stiffening after 15 minutes. I love to used the discarded mask on hands, neck or even elbow to make most of the product. Overall i loved these moisture-rich facial sheet masks and definitely recommend them who want dose of hydration, soft and nourished skin.